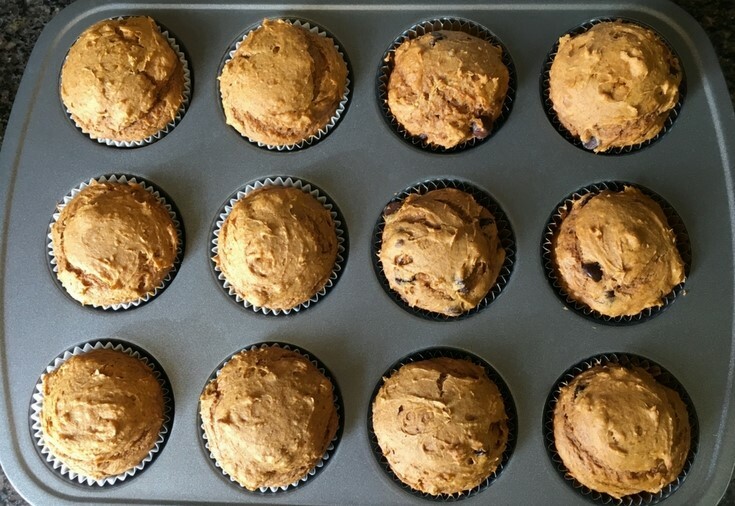 If the Thanksgiving holiday has you in the mood for pumpkin or you need a festive, last-minute snack to share with friends and family, this pumpkin muffins recipe is perfect for you. These muffins are a fall favorite in our house. 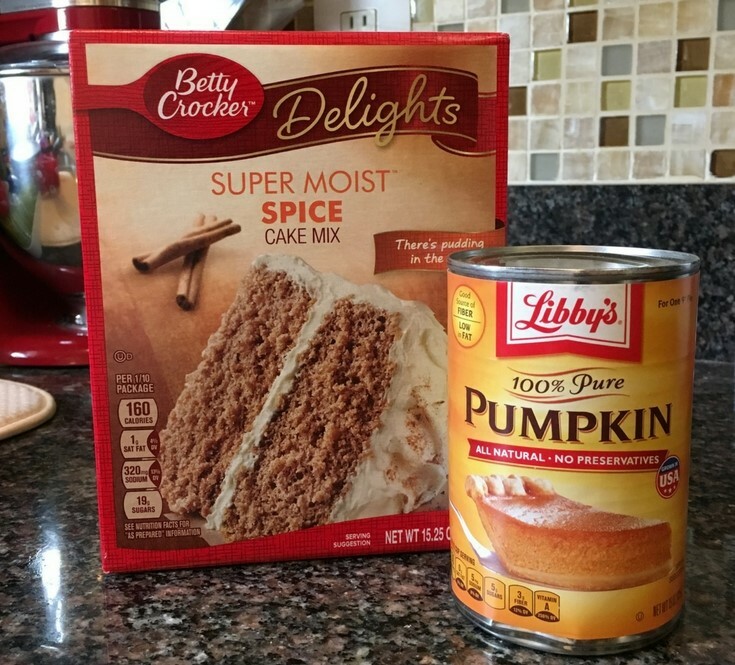 They are super quick and easy… just cake mix and pumpkin… yep, that’s it. I don’t even pull out my mixer most of the time and just stir it together. The batter is pretty thick, so adding a little water to thin it can make them a bit easier to scoop and give a smoother appearance on top, but isn’t really necessary either. They taste awesome either way. My favorite thing about these is that you can easily switch them up for variety. For instance, you can use any flavor cake mix. 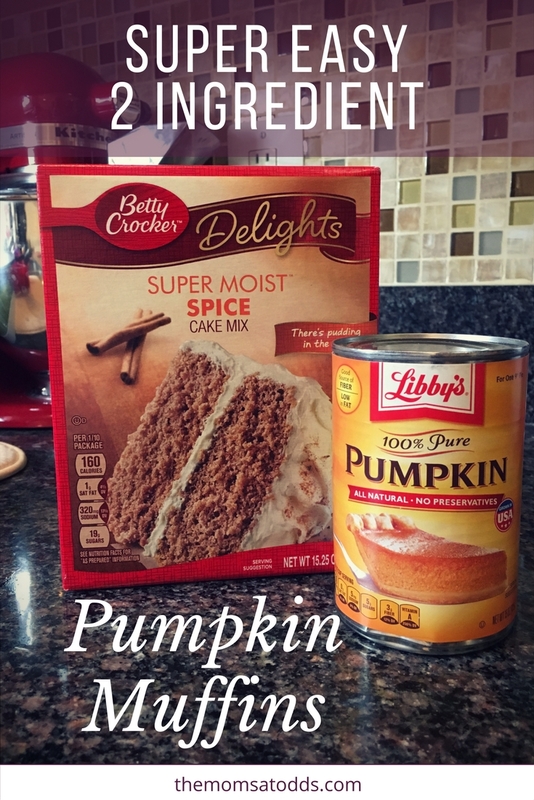 I really like the spice cake for the autumn taste, but seriously, they are all good! Also, you can throw in some chocolate chips or raisins. Finally, these are great plain, but I also love to top them with powdered sugar or cream cheese frosting. 1 box of cake mix (15.25 oz) - any flavor! Mix together pumpkin and cake mix. Prepare your muffin tin. I like to use liners for easy clean up. You can also make them without liners, just be sure to grease your pan first. Spoon prepared batter into muffin tin and bake for 20-25 min. Are Christmas Decorations Worth It When You Have A Toddler?